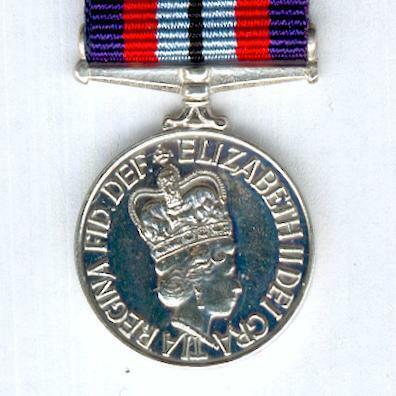 Miniature circular silvered medal on scroll and ribbon bar suspension; the face with the head of Queen Elizabeth II wearing the St. Edward crown and facing right, circumscribed ‘ELIZABETH II DEI GRATIA REGINA FID. 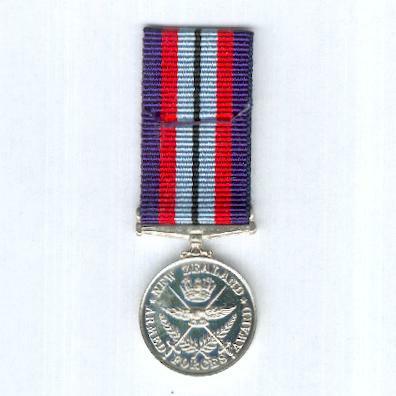 DEF.’ (Elizabeth II by the Grace of God Queen Defender of the Faith); the reverse with an eagle in flight with wings spread imposed on crossed swords, a naval crown above, two fern fronds with their stems crossed at the base below, circumscribed ‘New Zealand * Armed Forces Award’ below; diameter 18.19mm (0.72 inch); on original ribbon. 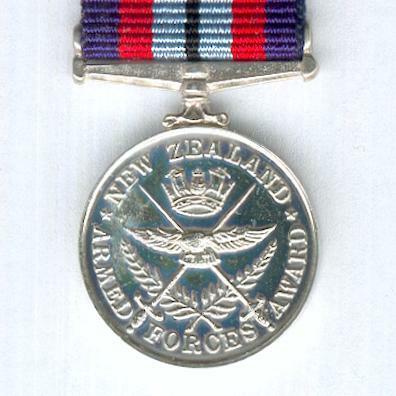 The Award was instituted on 6 May 1985 ‘for award to Regular Force officers of the New Zealand military who have completed fifteen years unblemished service’. 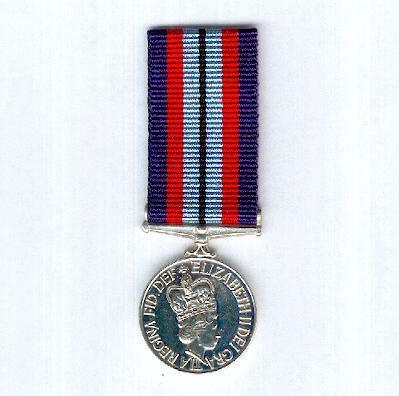 Eligibility for the award was backdated to Regular Force officers serving on or after 1 December 1977, to include officers who had left the New Zealand military between 1 December 1977 and 5 May 1985.